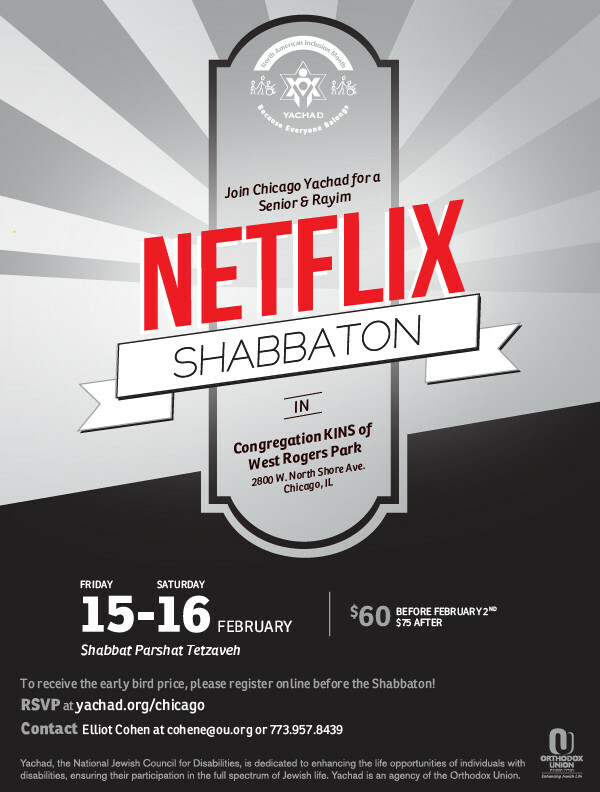 Senior & Rayim Netflix Shabbaton! Please contact lipmane@ou.org for more information. Registration will be from 3:45 pm to 4 pm at KINS.